Fig. 1. 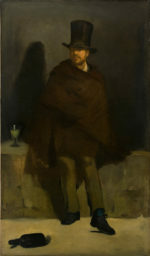 Édouard Manet, The Absinthe Drinker (1858–59/1867–72), oil on canvas 180.5 x 105.6 cm. Ny Carlsberg Glyptotek, Copenhagen. 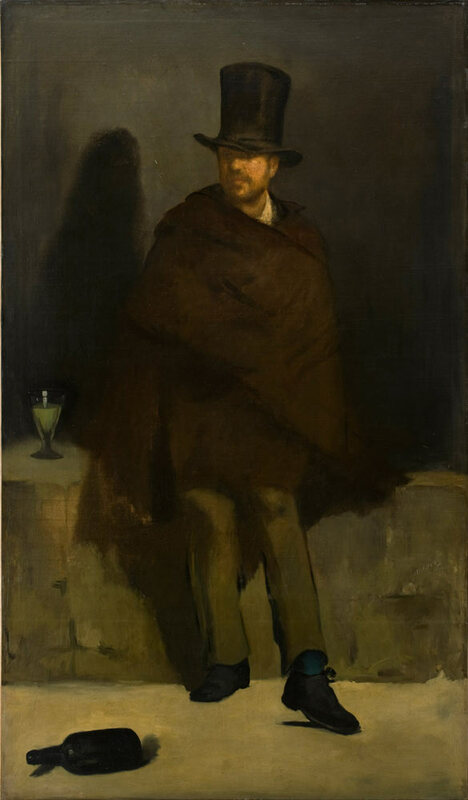 Why did Édouard Manet choose to send an almost life-size painting of an alcoholic vagrant to the prestigious Paris Salon in 1859 (Fig. 1)? It was his first attempt at the Salon, and it failed. At 27, having left the studio of Thomas Couture in 1856, his six years as an art student were behind him, he had set up in a studio of his own, and had spent two months in Italy, immersing himself above all in the art treasures available in Florence.